Have you been hurt on the job or in an auto accident? Alpha can help! 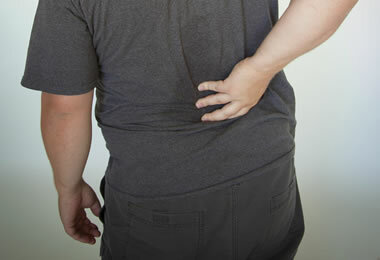 Some common work injuries include carpal tunnel syndrome, lower back pain, headaches, neck pain and shoulder pain. Many of these injuries are caused by repetitive stress or over use injuries (doing the same thing over and over again). At Alpha, we have treated work related injuries for decades. We are specialized in communicating and addressing the needs of your employers, worker-compensation insurance carriers and personal injury attorneys. We customize and integrate various effective therapies, into one rehabilitation program that treats and manages your work condition. We do our best to give you a seamless treatment experience unlike any other. Most auto accidents appear minor in damage but can leave people with a lifetime of pain and suffering. Even if the pain seems minimal at first, there may be underlying and hidden damage to your spine, muscles, ligaments and joints, which could take weeks to produce pain. These injuries can become progressively worse over time without proper treatment. Some common post auto accident symptoms include: tight and sore muscles, headaches, back pain, neck pain, pain between shoulders, dizziness, fatigue, ringing in the ears, poor concentration, etc. At Alpha, we evaluate the extent of these injuries and recommend a treatment solution before these injuries become chronic and/or permanent.